Old map by MANVILLETTE -Carte des Isles du Cap-Verd. . . Publisher: MANVILLETTE, Jean Baptiste de. Title: Carte des Isles du Cap-Verd. . . Size: 18.9 x 13.0 inches. 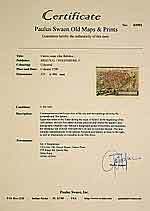 Condition: In very good condition, some light foxing to margins etc. Wide margins. 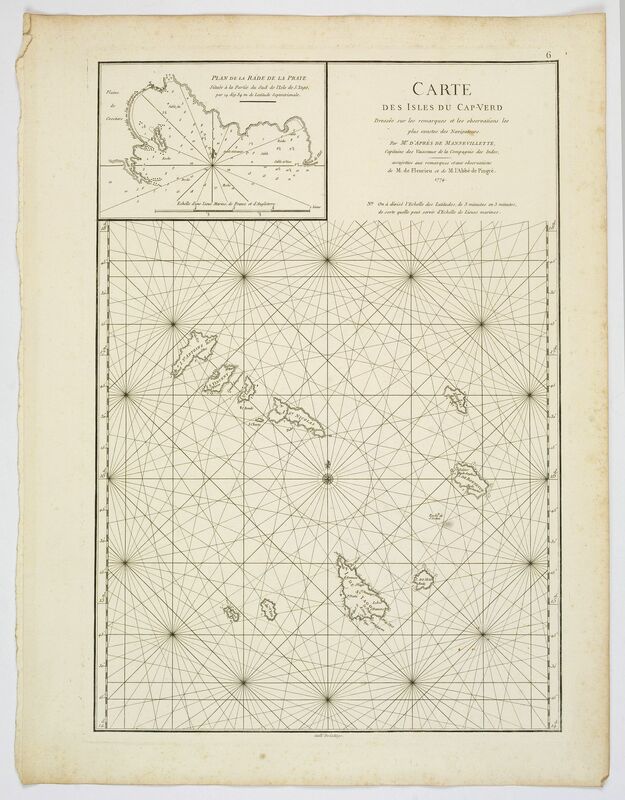 A nice large chart of the Cape Verde Islands off the N.W. coast of Africa in the Atlantic Ocean. The Cape Verde Islands are an archipelago of ten volcanic islands, that were uninhabited until the fifteenth century, when they were discovered and colonised by the Portuguese. In former times the islands were known as 'The Fortunate Islands'. The chart has an inset of the 'Plan de la Rade de la Praye', on the island of St. Yago, with a ring of numerous intersecting rhumb lines, a compass rose and mileage scales. Published in Paris apres de Manvillette, engraved by G. de la Haye, and from the Neptune Orientale.